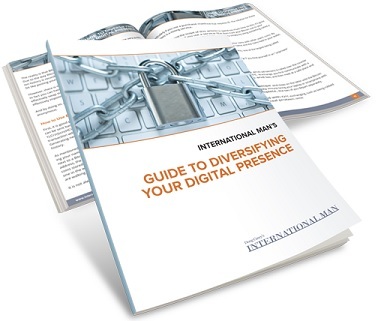 An often overlooked ingredient of international diversification is spreading your digital presence across multiple friendly jurisdictions. Just as obtaining a second passport or an offshore bank account can help you obtain significant political diversification benefits, so too can moving your digital presence to ideal foreign jurisdictions. Most of us today have a significant digital presence, both in our personal and professional lives. A digital presence commonly includes your IP address (which can often pinpoint you to a precise physical address), email account, online file storage, and the components of personal/business websites. In this digital age, restricting Internet access, and spying on and/or seizing digital data, and otherwise tampering with an individual’s digital presence have become new tools in the traditional toolbox of desperate governments. There’s no doubt that the NSA and the US government are very much in the business of undermining your digital rights. Keeping your digital presence under the jurisdiction of only one unfriendly country—such as the US—is not a prudent strategy. Internationalizing your digital presence is the solution. This commonly includes setting up an offshore email service or cloud file storage, moving the components of your personal and business websites abroad, using secure encryption, and using a VPN to disguise which country you are accessing the Internet from to get past government and other restrictions. This will help you secure your privacy and ensure that no government can pull the plug on your digital life or shut down your online business at the drop of a hat. Be sure to download our free report that will show you how to do just that.